Classic catering event taking place in restaurant. Chef's assistants helping with gourmet menu for party. 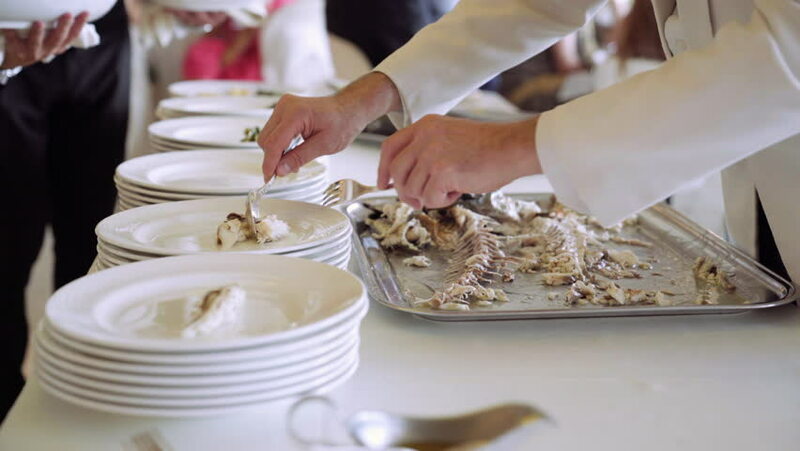 Waiters putting fragrant potatoes with vegetables on the plates with fish. 4K (UHD). hd00:32Two students are preparing the dough for a chocolate cake in their cooking class. They're kneading the dough. hd00:11SAMUTSAKORN, THAILAND - AUGUST 8 : Thai people woking process paint Ceramic Benjarong is traditional thai five basic colors style pottery at workshop on August 8, 2015 in Samutsakhon, Thailand. hd00:57People dipped strawberries in chocolate fountain.